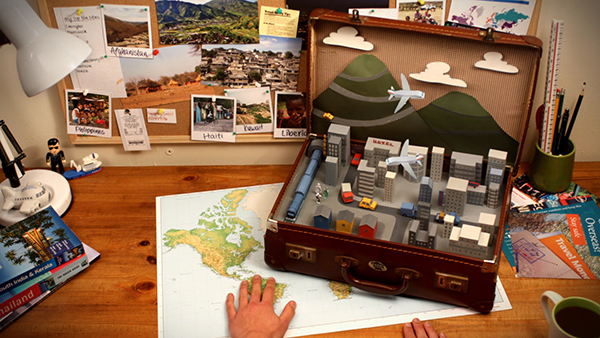 Dan Richards has always had a passion and curiosity for stop motion. Watching animations as a child, Dan was always asking “How did does that model move?”. ”Just because it does” has never sufficed as an answer. Dan got his questions answered making his first stop motion animation aged 10. Little more than a decade later, he graduated from the prestigious Bristol School of Animation, going on to work at Aardman Animations on the animated film Wallace & Gromit. In 2007, with a vision for a studio specialising in traditional lens based animation, he founded A+C Studios in a container unit on the Kent coast, with a box of Plasticine and a single camera, and a vision to tell better stories with animation.